I sought out treatment due to flare up of old injuries in my knees and lower back. The adjustments saved my back, stiff neck and knee stability. I also thought I had sciatica and could not ride in a car for a long rides. With treatment and exercise I am just fine. The deep massage and heat treatment increased the blood flow and loosened my muscles which is very important at my age and level of activity. The massage therapy has kept my muscles loose to avoid injury. I continue to play tennis nearly every day without injury and I have avoided surgery!! I have recommended ChiroCynergy to other tennis players and will continue to do so. I have chronic neck and back pain due to an extra vertebra in my neck. It continuously gets better treatments. I came originally because my neck was so bad I was sick with the pain and it was keeping me from attending parties. I haven’t had that happen again since treatment with Dr. Hilary. he treatments keeps it from getting real bad. If I meet anyone with chronic pain problems I will recommend them to Dr. Hilary. I sought out ChiroCynergy because I had pain down the back of both of my legs. The pain was gone by my 3rd treatment. Now I just have a monthly ‘tune up’ and I have stayed out of trouble. I have referred 3 friends to ChrioCynergy. I sought out ChrioCynergy due to a shoulder injury. The treatment helped, and has me feeling much better, and I am able to avoid surgery. I can do many more activities then before. I would recommend ChiroCynergy. I sought treatment at ChiroCynergy for a pinched nerve in my neck, pain down my left arm and middle to left side of my back. The treatment relieved the pain and numbness in my arm. I could then resume normal activities. I will be recommending people to ChiroCynergy. I was seeking treatment for my lower back, stiff neck and numbness in my hand. All my treatments from ChrioCynergy have been very effective. I am able to peruse my hobbies with no pain. I have and will continue to refer people to ChrioCynergy. I am suffering from pain in my lower back and it was effecting my walking, and I also had herniated discs, and sciatica problems. The treatment were very helpful and I felt taller and was in less pain. I am able to walk more now and get adjustments every now and then. Dr. Bradshaw is amazing at what he does and I would recommend him. Thank you! I sought out ChrioCynergy for adjustments and pain relief. Over time the treatment resulted in a significant improvement. It improved my attitude as well. I will be recommending ChiroCynergy to others. 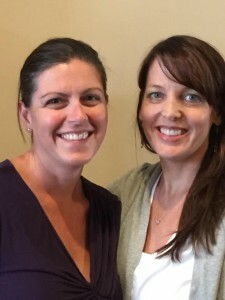 I sought treatment because I was a “hot mess” and I heard Dr. Hilary was a miracle worker. 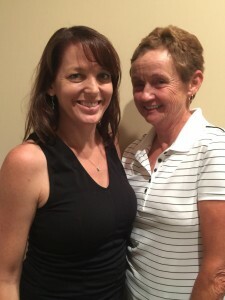 Dr. Hilary not only helped my adjustment issues but she has addressed nutritional concerns, supplements, and covered all wellbeing. Dr. Hilary listens are cares about the whole body and healing and helping me feel better. Since seeing Dr. Hilary I have trained and completed my first half-marathon and started training for my first triathlon. I have also been able to have my first pain-free days. I have referred several coworkers and friends to to ChrioCynergy. I am 72 years old and have had arthritis for some time. The desire to control the pain with out pills lead me to chiropractic care. My bimonthly visits to Dr. Rutledge help my pain be kept as low as possible. 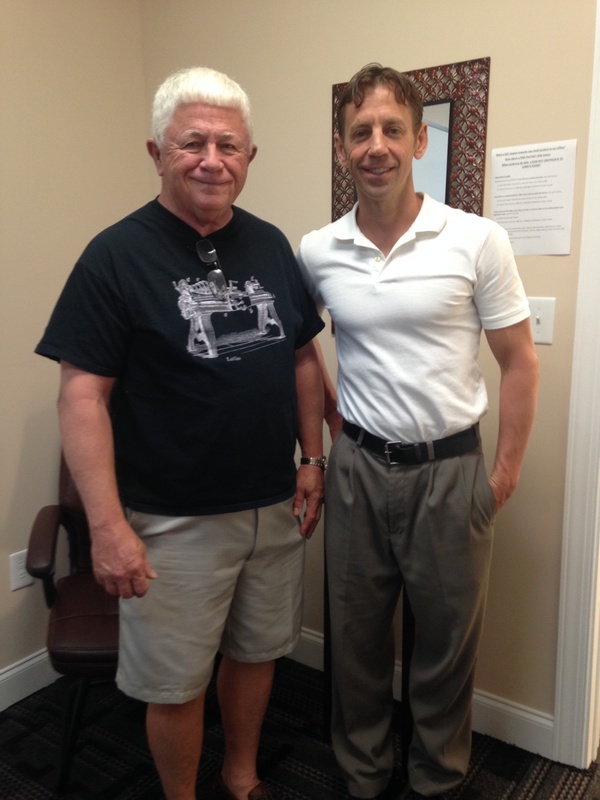 By coming to Dr. Rutledge on a regular basis I have been able to do the things I love- gardening, golf, and walking. I have and will continue to recommend friends to ChrioCynergy. ChiroCynergy is dedicated to improving the health and wellness of the Cape Fear Region….naturally. 2014, ChiroCynergy. All rights reserved.